Athlete or Machine? 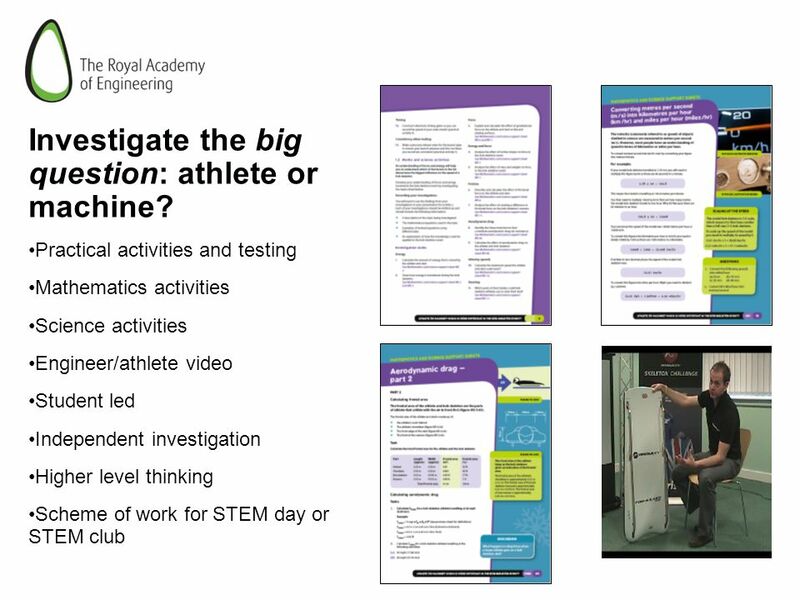 www.raeng.org.uk/athleteormachine Presented by Dominic Nolan. 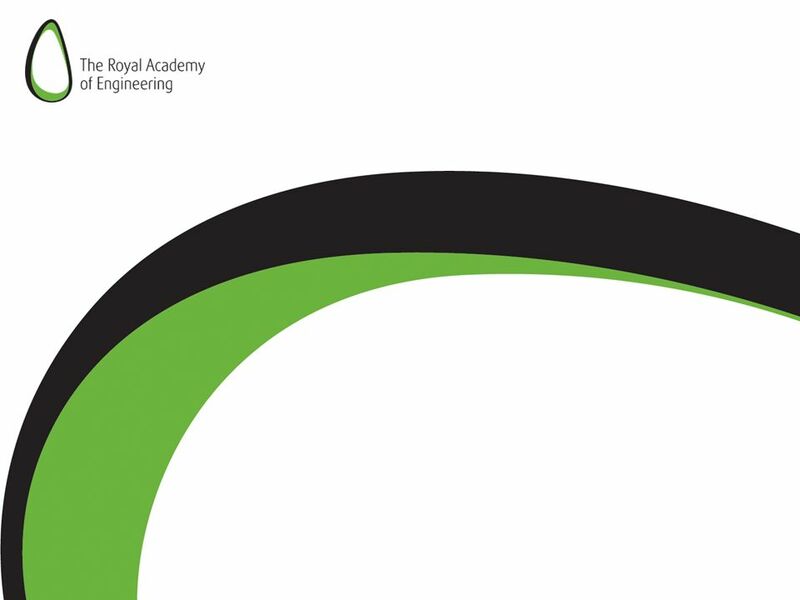 The Royal Academy of Engineering. 2 Investigate the big question: athlete or machine? 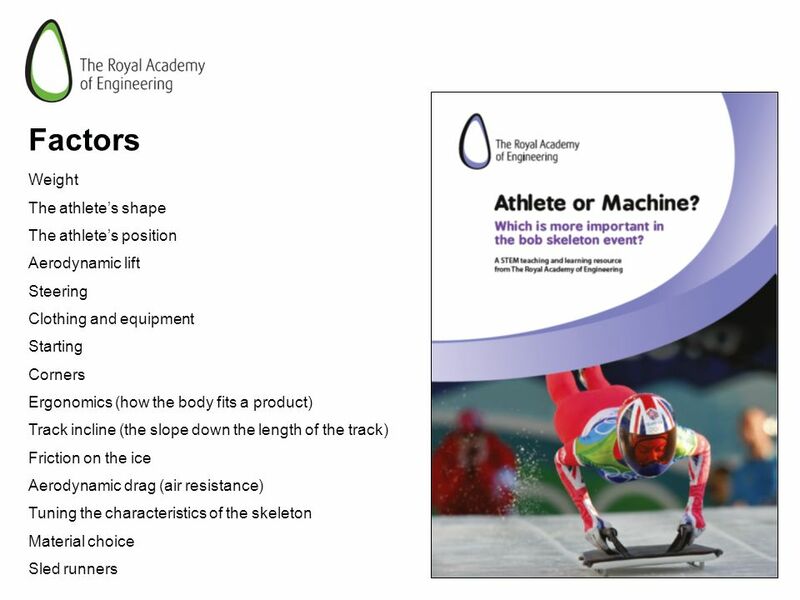 7 Which is more important in the sport of bob skeleton? 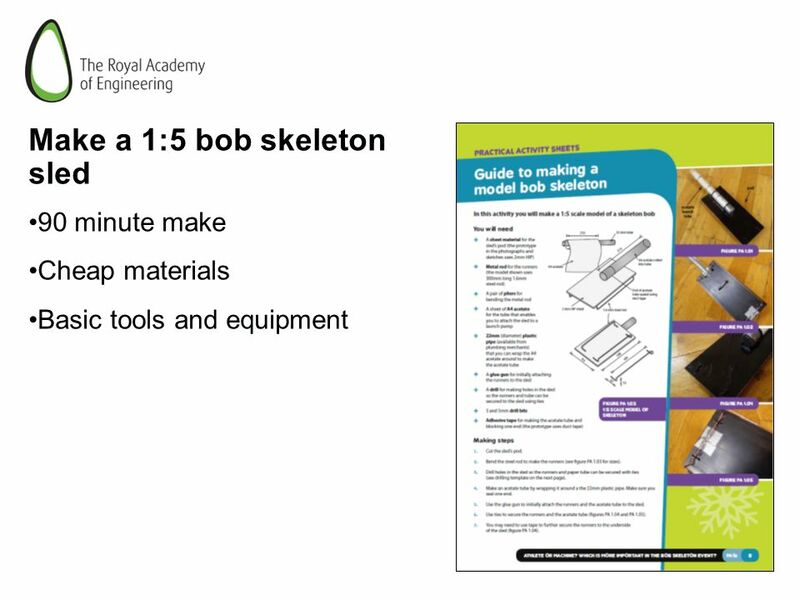 CHALLENGE Make a model of a bob skeleton sled See how far you can launch a Barbie! Present an answer to the question: Athlete or Machine? 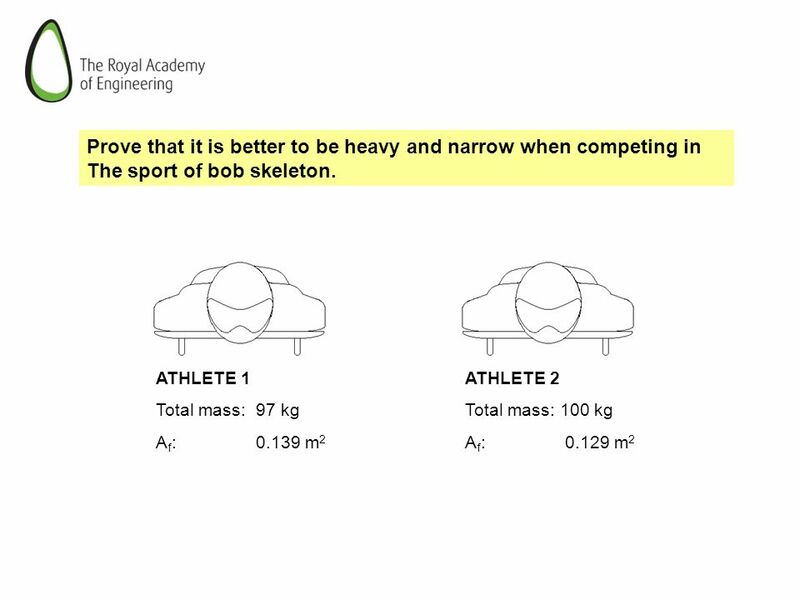 Which is more important in the sport of bob skeleton? 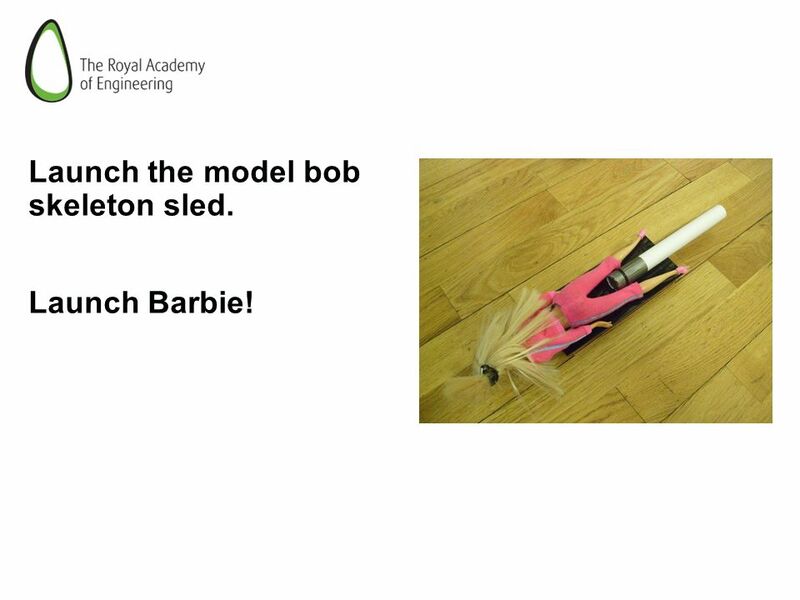 9 Launch the model bob skeleton sled. 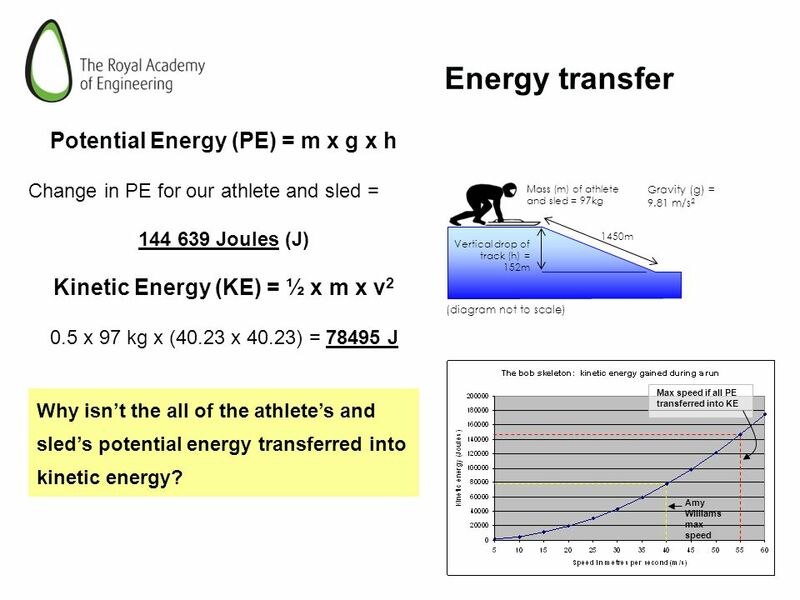 Energy transfer Potential Energy (PE) = m x g x h Change in PE for our athlete and sled = Joules (J) Kinetic Energy (KE) = ½ x m x v2 0.5 x 97 kg x (40.23 x 40.23) = J Mass (m) of athlete and sled = 97kg Vertical drop of track (h) = 152m 1450m (diagram not to scale) Gravity (g) = 9.81 m/s2 Amy Williams max speed Max speed if all PE transferred into KE Why isn’t the all of the athlete’s and sled’s potential energy transferred into kinetic energy? 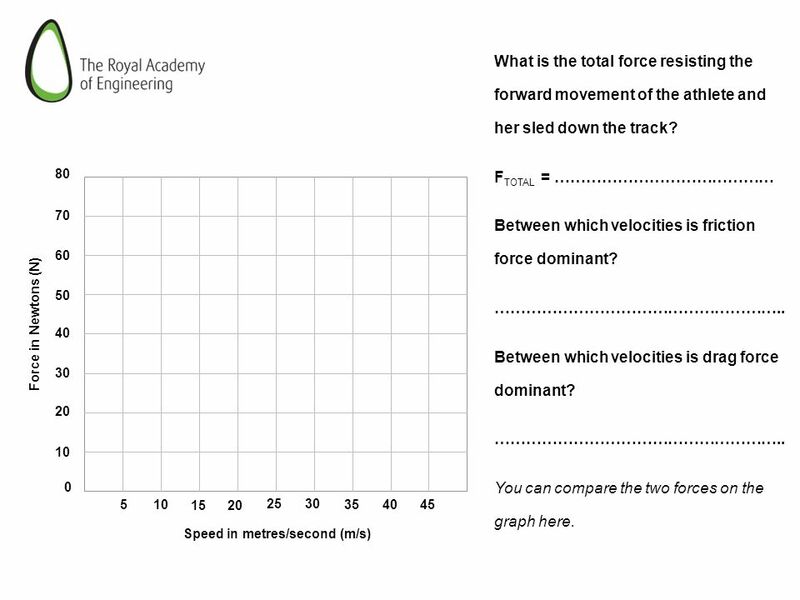 The line graph above shows that if all the potential energy (PE) were to be transformed into kinetic energy (KE) then the athlete and sled would need to travel at 55 m/s (122 miles per hour) to reach a KE figure of J. 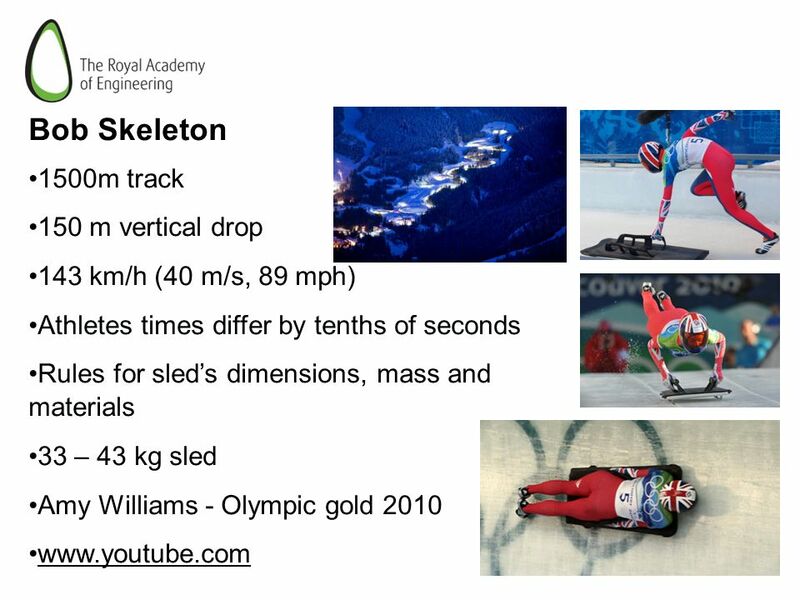 However, the 2010 bob skeleton Olympic champion, Amy Williams, is known to travel at a maximum speed of 90 mph (40.23 m/s). 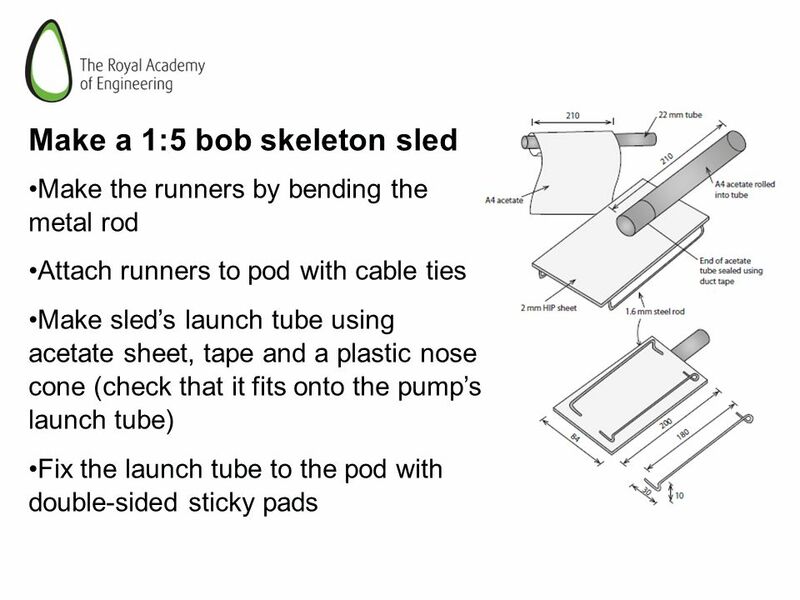 Our simple analysis of the energy transfer over estimates the maximum speed of the athlete and sled by 15 m/s or 37% because it neglects the affects of aerodynamic drag and friction. 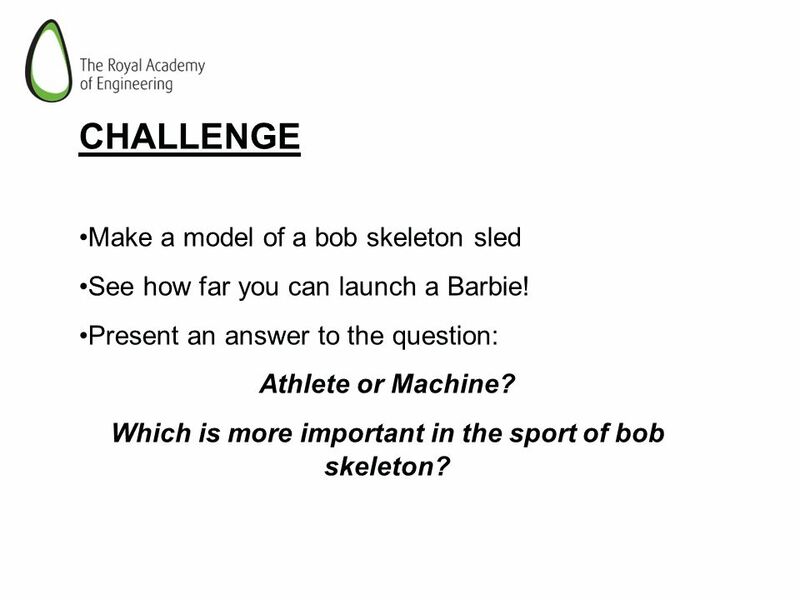 The sport of bob skeleton. 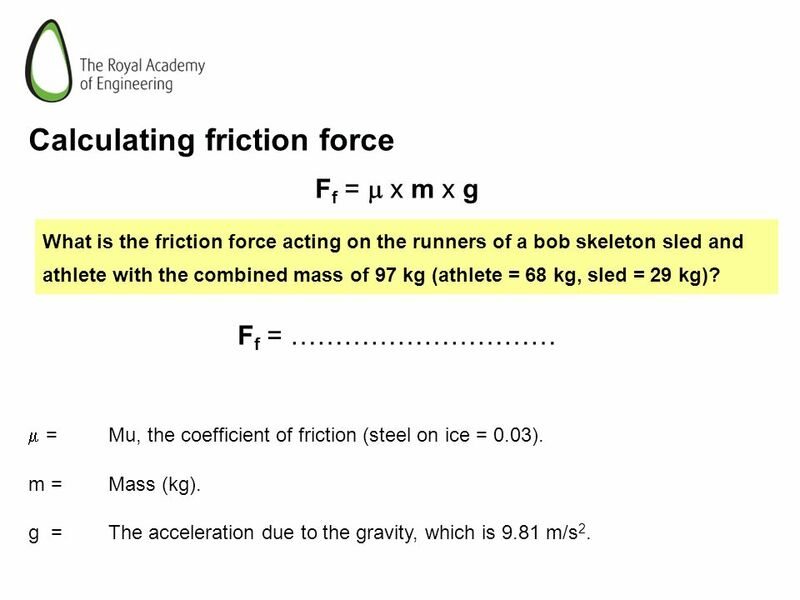 ATHLETE 1 Total mass: 97 kg Af: m2 ATHLETE 2 Total mass: 100 kg Af: m2 ATHLETE 1 Friction force = 0.03 x 97 x 9.81 Friction force = N Drag force = 0.5 x 1.2 x 0.45 x x 1600 Drag force = N Total force acting against athlete and sled = N ATHLETE 2 Friction force = 0.03 x 100 x 9.81 Friction force = N Drag force = 0.5 x 1.2 x 0.45 x x 1600 Drag force = N Total force acting against athlete and sled = N Athlete 2 should get to the bottom of the track quicker as there is less force acting against the forward motion of the athlete and sled. Increasing athlete mass does not have a significant impact on friction compared to effect of increasing frontal area. 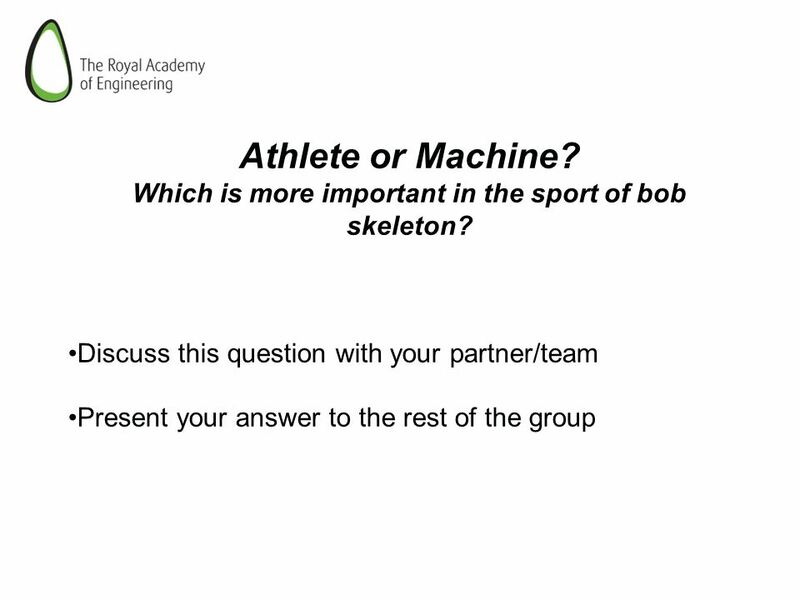 17 Which is more important in the sport of bob skeleton? Download ppt "Athlete or Machine? 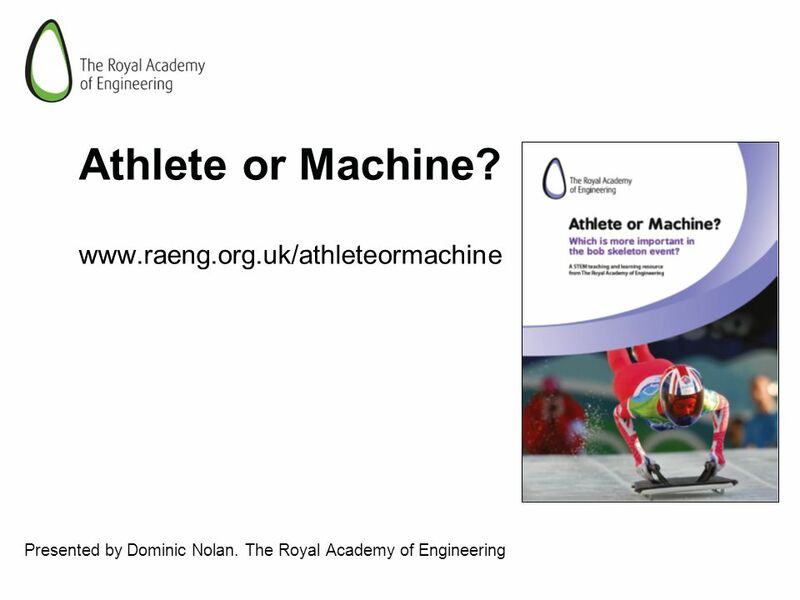 www.raeng.org.uk/athleteormachine Presented by Dominic Nolan. 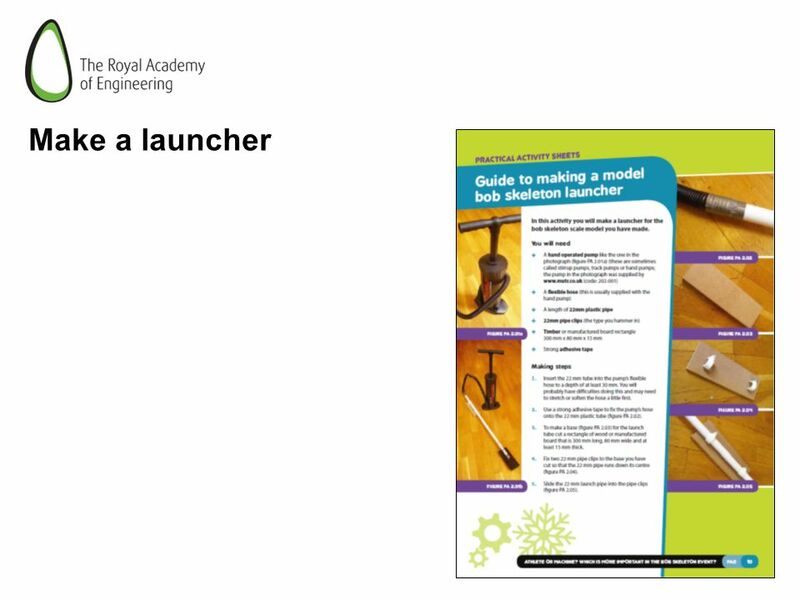 The Royal Academy of Engineering." Newton's Laws of Motion Dr. Robert MacKay Clark College, Physics. Work and Energy Dr. Robert MacKay Clark College. 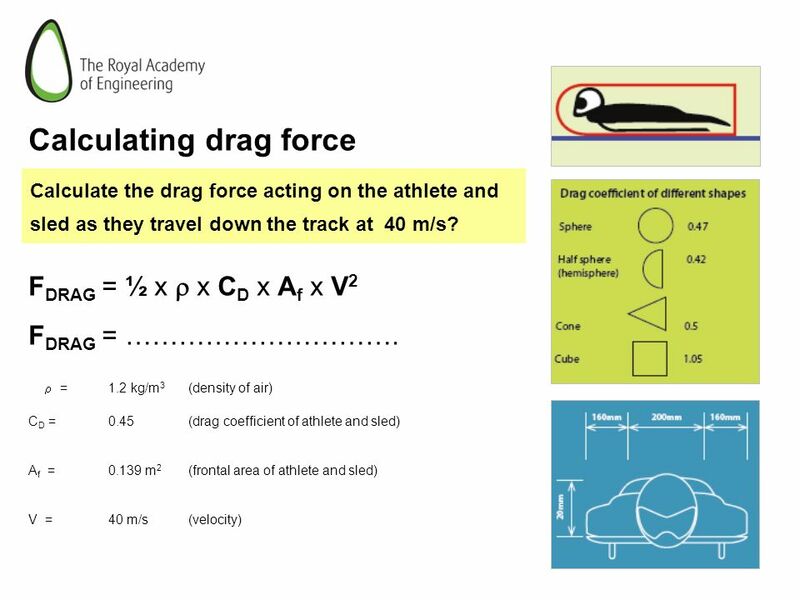 Indicate what effect the change will have on the acceleration. Sims Middle Aviation Unit Power of Flight Mrs. Locklin and Mr. Blackman. Work, Power and Energy Review Each table will work as a team to earn points by answering questions. 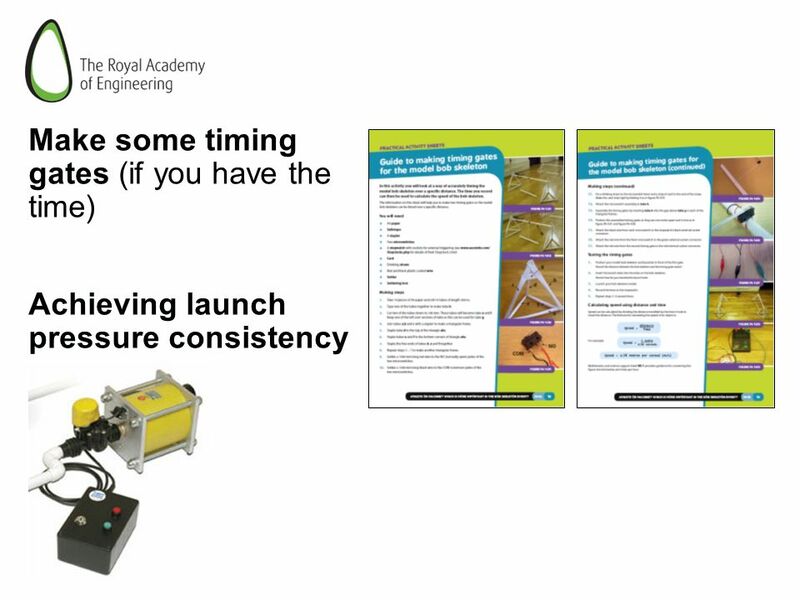 There will be 60 seconds to answer each question from.